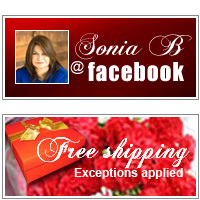 Sonia B is the designer behind Sonia B Creations. A woman of many talents that has been able to design Exquisite and High Quality Jewelry. Attracting customers world wide with her exclusive designs, Sonia has been inspired by her travels all over the world. 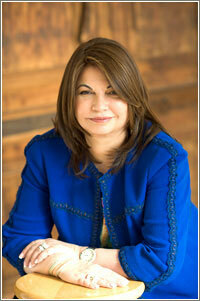 Sonia B Creations factory named DPL Design, Inc. is located in New York. My work is my fun…says Sonia. I am more inspired by the women I meet (even via internet) than the ones I see on magazines. We will focus on what makes our customers turn to us. Sonia's love of fabulous stones makes her designs so unique and glamorous. Just as an art investor would go only to the best galleries one who invest in fine pieces of jewelry should seek the best. We stand behind the quality of our stones and pieces. The essence of Sonia b creations is wear-ability, expressiveness and elegance. Designs that define style, they make us feel good with their fine detail and honest materials. Sonia specializes also in one of the kind custom-made pieces created to encompass every detail of her client specifications, using precious metals and including diamonds and one of kind special color stones. My favorite part of the business is creating special wedding bands and engagement rings. FOR A GIFT THAT SERVES AS A DAILY REMINDER OF YOUR LOVE THROUGHOUT THE ENTIRE YEAR. THERE IS NOTHING LIKE A BEAUTIFUL PIECE OF JEWELRY, JEWELRY IS TRULY A SYMBOL OF LOVE. EACH PRECIOUS GEMSTONE CARRIES A DEEPER MEANING ROOTED IN HISTORY AND LEGEND. DIAMONDS IN THEIR RESILIENCY ARE GIVEN TO CELEBRATE THE IMPORTANT MOMENT IN ONE'S LIFETIME, SUCH AS AN ENGAGEMENT, WEDDING, ANNIVERSARY OR SIGNICANT BIRTHDAY. SAPPHIRES REPRESENT TRUST AND LOYALTY, PEARLS REPRESENT PURITY AND HARMONY, EMERALDS BRING GOOD LUCK AND RENEWED HEALTH WHILE RUBIES STIR DESIRE AND PASSION. EVERY WOMAN DESERVES A BEAUTIFUL PIECE OF JEWELRY, IT MAKES US GEEL SPECIAL WHEN RECEIVING IT AND WEARING IT, IT CAN MAKE US FEEL VERY ATTRACTIVE. Sonia says "my love of jewels since I was young girl steered me into all facets of the jewelry early in my career. There is nothing quite like taking a design concept and turning it into a precious piece of jewelry that only the most discerning buyer can appreciate".